Comprehensive up front due diligence to ensure InvestAmerica represents only the highest quality projects and experienced management teams in the market. Working with a team of experienced EB-5 professionals (analysts, business plan writers, economists, market study firms, immigration attorneys, securities attorneys) to prepare the full offering package in adherence with stringent USCIS standards, in compliance with U.S. securities laws and help shepherd each client’s project through the entire process. Securities are then offered through Sequence Financial Specialists, LLC (member FINRA/SIPC) (www.sequencefinancialspecialists.com) as either an exclusive placement agent or non-exclusive finder, who conducts the solicitation of investors for EB-5 private offerings, with InvestAmerica (including InvestAmerica’s President and CEO, Mike Xenick, who is a registered securities representative with Sequence) acting as an advisor, in a manner compliant with U.S. securities laws. Review & analysis of business case, financial information, business plans, and other prepared transaction documents and analysis. Interviews with Project principals and EB-5 transaction professionals. If necessary, gauge availability of bridge capital to commence Project until EB-5 capital is available. Provide key recommendations for any necessary additional corporate or financial information, ideal capital structure, suggested adjustments to transaction structure or other key transactional elements, SWOT Analysis, and any other key observations. Preparation of Project evaluation report. Site visit(s) (if applicable and deemed necessary). Ability to access funding of a Project’s entire capital stack. Access to private debt & equity capital via InvestAmerica’s proprietary U.S. lender database. Detailed analysis of prospective projects. Due diligence and market research. Evaluation, design and implementation of securities-compliant transaction infrastructure. Review, analysis & preparation of project transaction documents. Investor intake and related compliance. Evaluate investor suitability/accredited investor assessments. Coordinate flow of investor capital. 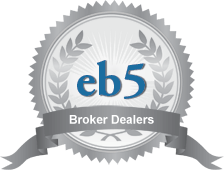 Conduct EB-5 private equity placements as Registered Representatives of Sequence Financial Specialists, LLC (member FINRA/SIPC). Secure non-EB5 funding of institutional private equity & debt capital.